Although I rated this plugin 8.5 doesn't mean this plugin is a good choice for you. In fact, when I first tried using One Signal several years ago, it was a nightmare. I had a hard time setting it up, this was around the time when web push notifications was still a new concept. I was having a hard time setting up OneSignal web push notification service via their WordPress plugin for my site Mixtape TV. This resulted in me opting to go with Roost as my solution. Roost was great in the beginning but then things took a turn for a the worse a few years later. They're now out of business, more on that in a later post. With the launch of Site Studio, for whatever reason, I gave them another shot and everything has been working great so far. The user experience has improved drastically and it's now super simple to set up. That being said before you decide to sign up for One Signal, it's important we address this “Free” service. 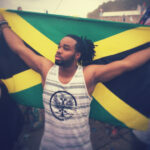 When I originally wrote this post I was actively using OneSignal for this site. I am no longer using the service, even though it has a great UI, easy integration, and is absolutely free. But before I get into all that, just quickly cover the features of the tool. OneSignal caters to both web and native platforms and soon it will also be able to send notifications to voice applications such as Amazon Alexa, Google Assistant and more. In addition, it also now supports sending email notifications. If you know how to add Google Analytics to your website, the you'll be able to add OneSignal to your website. Doesn't matter if you're team WordPress, Shopify, SquareSpace, etc. There is more than likely an integration available to you. 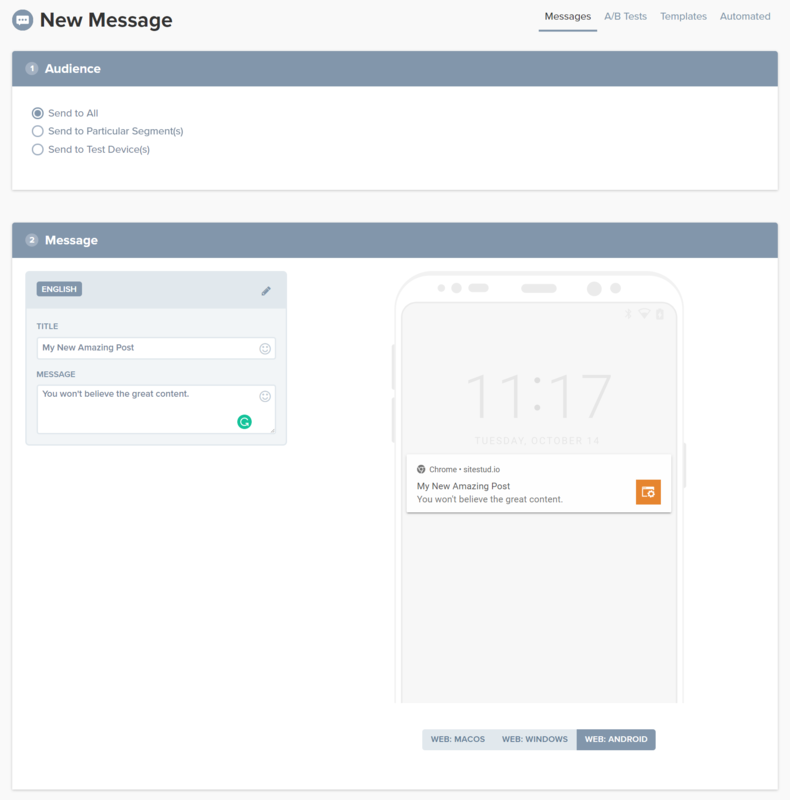 Not only can you send bulk messages bu you can also send push notifications to a specific segment. Perfect example would be if you have a news website with various categories. These categories won't always be related to each other. In a scenario like that one, you could create a OneSignal for each category, thus giving the ability to send messages to a specific category. Another example would be if you had a membership site, you could create segments for paid members, free members, new members, etc. This would give you the ability to send membership specific notifications. OneSignal Provides better delivery analytics than most other platforms, where you usually only get the “sent count” and “open count” and maybe a bar chart. 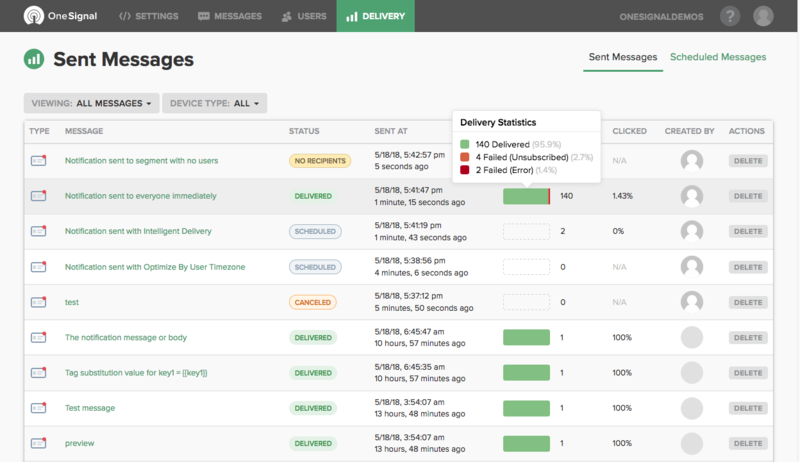 With OneSignal, you're getting delivered, failed, unsubscribes, click through and more. So far, everything about One Signal seems to be perfect, so what are the down sides? WordPress Plugin: Although the plugin has a lot of features and is very useful. It's lacking in the one area that matters the most. It doesn't have a dedicated area to send out notifications. To do that you'll have to sign in to the OneSignal app. That's just about as bad it gets for this OneSignal review, it's pretty much all smooth sailing from here on. Free: The service is completely free. How is that possible? 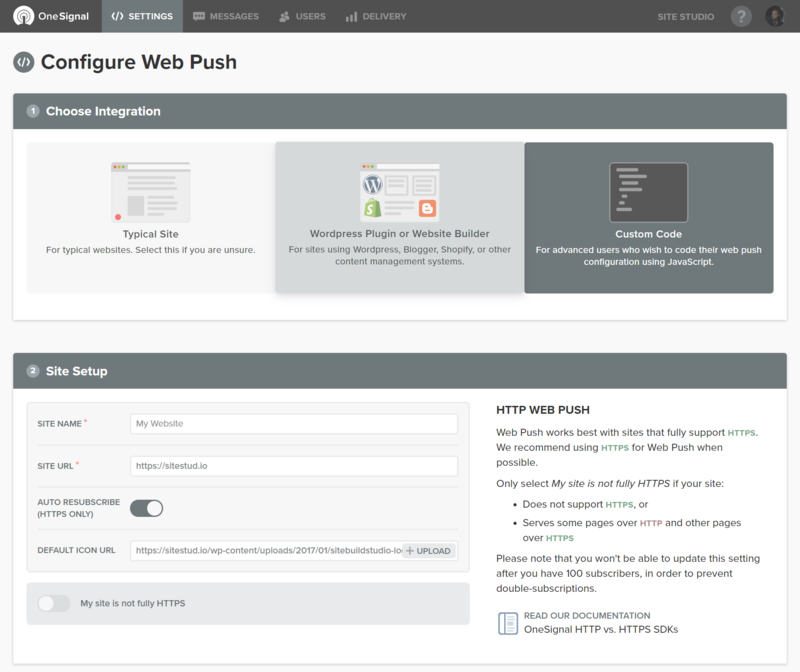 They do offer premium support but other than that, as far as web push notification is concerned, it's free! Or is it? 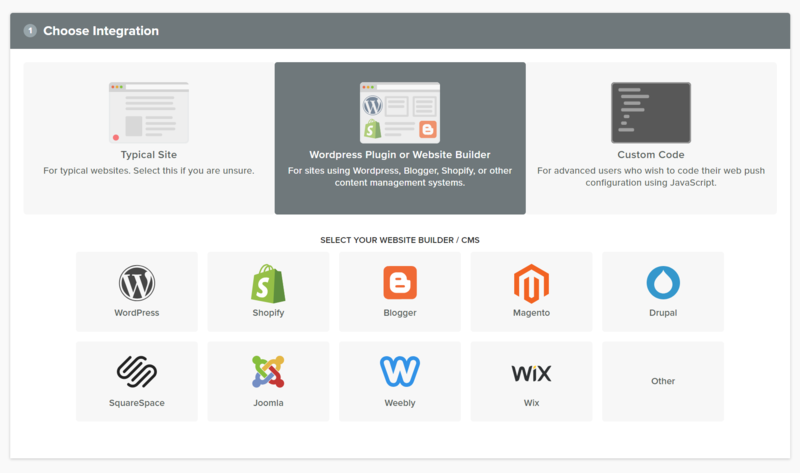 Categories: Roost has a feature where each of the WordPress categories automatically gets a segment created in the service. This gives users the ability to choose which categories they want to get notifications from. This a very useful feature. Web & Native: Not only do they support web push notification but they also offer native push notification for various platforms. In fact, that's how they started out. When you consider where WordPress is going in the future which is inevitably progressive web apps, which will also be packaged as native apps. So why don't I use OneSignal? The reason why it's free is the reason why I could never use this service on my own sites or any of my clients. OneSignal sells your subscription data to 3rd party advertisers in exchange for offering you this free service. If you don't want your information sold, you'll have to sign up for premium support. Sometimes the SDK Information may be combined (by us or ad and data platforms we work with), to perform any of the above functions, or other advertising, marketing or analytics services. This has all sorts of implications, first off, with the new laws passed in Europe, I'm not even sure this would be legal in that territory. Not to mention new legislation that might be coming down the pipeline in America. This is certainly not something to use on a Ecommerce website, subscription based website or any website that requires your visitor to register for something. Data is the oil of the web and it's far more valuable than gaining the convenience of of being able to send free web push notifications. The other issue I have with OneSignal is if they're willing to sell your subscribers data in the first place, what's to say they won't continue to do so even after you start paying for their premium service. What are some alternatives to OneSignal? After Roost went out of business, I started searching for alternatives that were not engaging in the same practice a OneSignal. Subscribers – A new arrival in the Web push notification space. It's being brought to you by Internet Entrepreneur Neil Patel, who I asked specifically if the free tier was selling subscriber data. He said, not at all. SendPulse – They've been around quite some time, originally, they were just an email marketing platform. Today, they've involved in a multi-channel marketing platform offering web push notifications, email, voice, SMS, and messenger. They offer web push notification with an unlimited number of subscribers, and no they are not selling your information. The free option is to get you into their platform in hopes that you upgrade to using their entire multi-channel marketing platform . 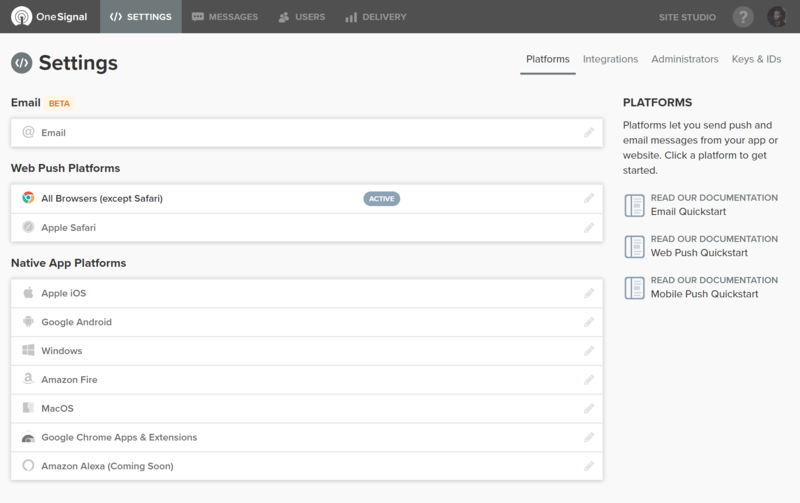 SendPulse is great, having a single platform that supports offer send many sending options is invaluable. Yes, so even though I gave One Signal such a high rating, that was all based on the user experience which is a great one and it's a major selling point. Nonetheless, their business model is not suitable for me and my business, and I know these days the popular thing to say is that people don't care about privacy. Wrong…I people worry less about privacy so long as they are the ones in control of their privacy. One Signal takes that control, and even though it's free, that's a price I'm not willing to pay. Thank you for reading, leave your comments, reviews, and ratings below. Not sure what you mean, could you explain further? “I’m still trying to figure out OneSignal’s business model because the service is completely free. How is that possible?”This is funny. Don’t you realize that they sold your data? Read their Terms, dude. This is funny. Don’t you realize that they sold your data? Read their Terms, dude. I actually switched from the service a while ago, this article is almost 2 years old now. I need to update this article to reflect where I am now with web push notification services, I haven’t used One Signal in years.